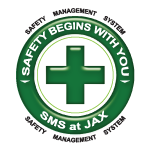 Several agencies participated Wednesday in the JAX Triennial Airport Disaster exercise at Jacksonville International Airport. The drill was sponsored by the Jacksonville Aviation Authority. In January, officials started planning for the drill as part of a mandated Federal Aviation Administration disaster exercise. The airport is required to conduct a live, full-scale planned exercise every three years to evaluate a response to a regulated disaster, officials said. During the drill, law enforcement and first responders were dispatched under a simulated 'Alert 3'. This is the most serious type of alert and involves an actual aircraft accident or fire. 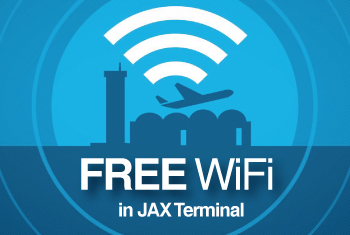 Under the scenario, a pilot has contacted JAX TRACON to advise they are turning back to the terminal shortly after takeoff due to a problem in the cockpit. The pilot experiences a hard landing and crashes at JIA, forcing the plane to go up in flames. There are also several passengers on board who need immediate medial attention upon impact. Students from Raiders Health Academy at Orange Park High School participated in the drill as victims for the second time in three years. Lead instructor Rafael Ramos said he can tell a big improvement in communication between the different agencies involved. "The inter-agency interaction is a lot better," he said. JFRD Chief Martin Senterfitt said these drills help them prepare for possible mass casualty situations, no matter the location. "This is one of those low occurrence but high tragedy type events. Fortunately, this doesn't happen routinely, but that's why the exercise is so important," he said. JAA said it will evaluate all responses to the drill and make improvements to the airport emergency plan as necessary.